eXeLearning is a free software tool under GPL-2 that can be used to create educational interactive web contents in XHTML or HTML5. eXeLearning 2.0 is now available for GNU/Linux, Microsoft Windows and Mac OS X.
eXeLearning is a free software tool under GPL-2 that can be used to create educational interactive web contents. eXeLearning can generate interactive contents in XHTML or HTML5 format and it allows you to create easily navigable web pages including text, images, interactive activities, image galleries or multimedia clips. All the educational materials generated with eXeLearning can be exported in different digital formats, to be used independently or to integrate them into a LMS (Learning Management System) like Moodle. To create or develop accessible contents in XHTML or HTML5 format. To generate complete websites (navigable web pages). To include interactive contents (different types of questions and activities) in each page. To classify, or to catalog, educational contents according to different metadata models: Dublin Core, LOM, LOM-ES. When exported as Web Site, you can create web pages that can be viewed in different digital devices such as smartphones, tablets, and laptops. And all this stuff, and much more, without knowing anything about programming! eXeLearning was originally developed in New Zealand, in 2007, and was led by two universities University of Auckland and Auckland University of Technology as well as by the Tairawhiti Polytechnic Institute. The project was originally supported by the New Zealand government, and it was later supported by many other institutions. The original project remained active until 2010. At that time eXeLearning had thousands of users and it was a very well known authoring tool in educational environments. 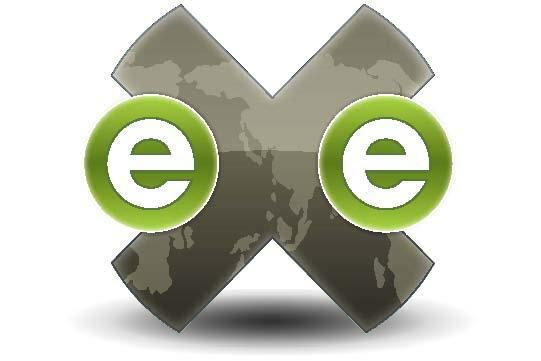 In 2009-2010, seeing that eXeLearning was not evolving at the pace that technologies did, the Instituto de Tecnologías Educativas del Ministerio de Educación del Gobierno de España (now INTEF) decided to restart and to evolve the project. The new eXeLearning, as it was named, would keep alive the original open source spirit of the project, adapting the application to new web developments and standards and introducing major improvements. A new eXeLearning website was developed, a site that allows the users to actively participate in the project: make contributions, suggestions, find answers to different questions, etc. Now the project is, again, alive and kicking, and it is supported by different government agencies and companies, both in Spain and in other countries all over the world. As it can be seen with the recent release, last September, of eXeLearning 2.0. Improvements in accessibility and presentation of contents. Replacement of the internal format used in eXe: the original version used a closed binary format and it has been changed to an open XML format. New option to export in XLIFF format to facilitate the translation of contents. Development of a command line version (exe_do) to facilitate the publishing and maintenance of contents through scripts. The Ability to generate editable SCORM packages with the tool itself. However, the innovations included in the new release are the main reasons that let the development team to move forward from version 1 to version 2. Language management: we can work with eXeLearning in one language and generate content in another. It lets you choose the browser to work with. You can choose the type of document: XHTML or (the greatest improvement) HTML5. You can choose the level of tolerance of the text editor: Strict mode only allows XHTML or valid HTML5, Permissive mode allows us to enter any code. iDevices are the tools or blocks that can be included in our pages. eXeLearning 2.0 significantly improves its level of accessibility. Now it is much easier to generate accessible contents. User experience has also improved: now the iDevices are grouped by categories and it is easier to select them. We can also hide those who do not wish to use or show less common iDevices that can be interesting for us. Improvements in iDevices such as Image Gallery or Image Magnifier and proprietary solutions and / or Flash based are replaced. jQuery is included in all contents generated. Import and export of Styles allowed. Responsive design. Now you can find Styles that can fit any device such as smartphones, tablets, laptops, etc. Some Styles let you hide Menu or minimize iDevices. Preview option: now you don't need to export to see the content edited so far. New video and audio formats: mp4, ogv/ogg, webm, mp3, ogg, wav. The attribution and licensing is provided with the new option that allows to add information in headers and footers of images, videos and audios. It is possible to use the Lightbox effect from the editor itself using the "rel" attribute in links. The future of eXeLearning involves the incorporation of new iDevices and Styles, including a tool for editing in real time, the replacement of all the fragments of code that are not compatible with the GPL-2 license, improvements in the import of content generated by other tools, and to become a genuine web service connected with different platforms. Contributors: José Miguel Andonegi and Juan Rafael Fernández. Originally written in Spanish. English translation by Ismail Ali Gago.